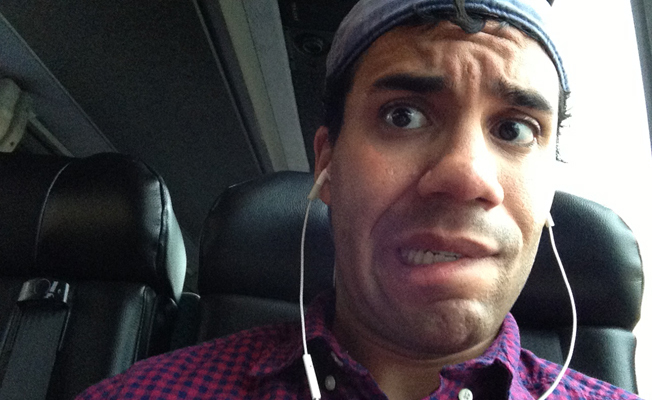 I’ve become a big fan of taking the bus whenever possible on my trips up and down the East Coast. I know the general perception of traveling by bus isn’t a positive one, but Megabus and the Greyhound Express have treated me well since moving out here. I can only imagine Mike’s responses on the other end of the line during a convo that included entirely too many moans and uncontrollable sobs for it only lasting a hot second. Furthermore, I’m sure the last thing in this world Mike now wants to do is “talk about all of this later.” I’ll admit I was hoping round two would take place at some point during our six-hour bus ride, but I’m sad to say it didn’t. Today I came home from a pretty cray workday to this belated but very baller Valentine from my friend TL. 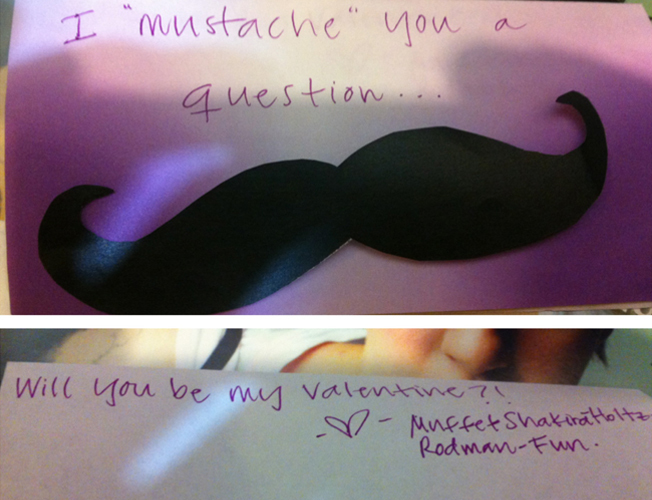 Not only is she punny, but she also gets my penchant for mustaches. I’m fully on board with the stache trend and owned a sweet iPhone case displaying one until I recently decided to retire it after taking photos at a postseason awards banquet and looked up to find coaches and other dignitaries getting a good chuckle out of it. It was obviously one helluva conversation piece, but it was equally as unprofessional. Not in college anymore, Zach. While I’m not currently rocking a stache, I’m actually thinking about growing one soon; been contemplating it for awhile now. Maybe this summer — when anything seems to go — and definitely in Movember to help raise money for prostate and testicular cancer. I think I could pull it off. And what a great idea for an actual V-Day card, right? Eat your heart out, Hallmark.